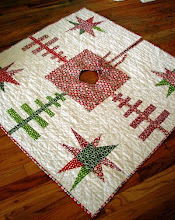 tallgrass prairie studio: Quilt Market...It's About? For me, the best answer is business. 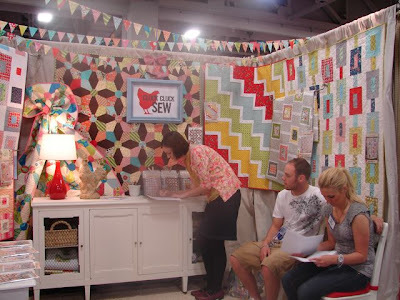 Quilt Market is the trade show for the quilting industry and it's about doing business: selling books, patterns, fabrics, notions etc and the majority of people there are all about business. It's pretty easy to identify the saavy businessmen and women. I noticed the serious and sometimes stressed looks on faces as quilting business owners worked market. People are making decisions which will affect their livelihood and it's hard work. 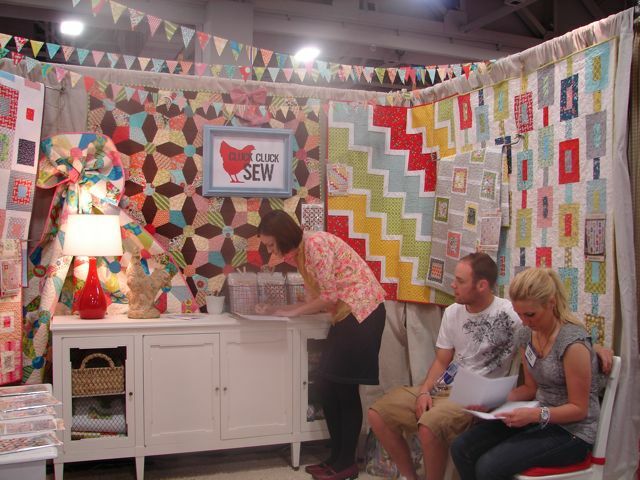 Attending quiltmarket is an investment of both time and money and making that investment pay off in terms of your quilting business. Allison of Cluck Cluck Sew....Workin' It! My purpose for attending market was two-fold, to prepare for and understand book marketing so that when my book is released I'm ready. Also, I was gathering information for my new business venture. I came home with a two foot tall stack of information/ideas to sort through and with many decisions to make. 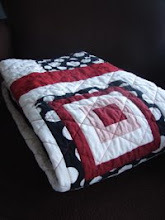 I so appreciate those quilt market veterans who were willing to share, talk with me and give helpful advice to a newbie. I'd love to name all of you, but I'd miss someone for sure. Thank you. Coincidentally, my first market coincided with the release of Alissa and Kristen's book, Block Party, so I was there to support their book and accomplish goal #1 with friends. 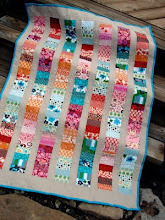 Next post...All about Block Party and a chance to win Alissa and Kristen's fabulous book! 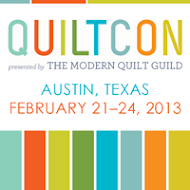 I hope you want to hear more about Quiltmarket. I have so much to say and Bruno is a little tired of hearing about it. Right now, I've got sewing to do...laundry will have to wait! Bruno... :-) He's just worried about catching up on all that missed quality time. When I've attended, it's been as a shop employee scouting ideas for which lines to buy, display and marketing ideas, class ideas... yes, it is a lot of work indeed. You are smart to scout it for future marketing and business reasons, it can be overwhelming that first time. Bang on! It's still always going to be about business. I get that and I'm looking forward to chatting with you further about that. Shall we plan a call? New business venture? I'm all ears! Can't wait to hear more about Market. I have only been to one and I'm looking forward to next year in KC (close to home). Jacquie- Thank you so much for your friendship and support this weekend and also for your amazing contribution to Block Party. Can't wait to see what you come up with next! I am looking forward to all you have to say about Market! I am also so intrigued about your new business venture, and I can't wait to hear more about it. I am glad you had a good, productive time! 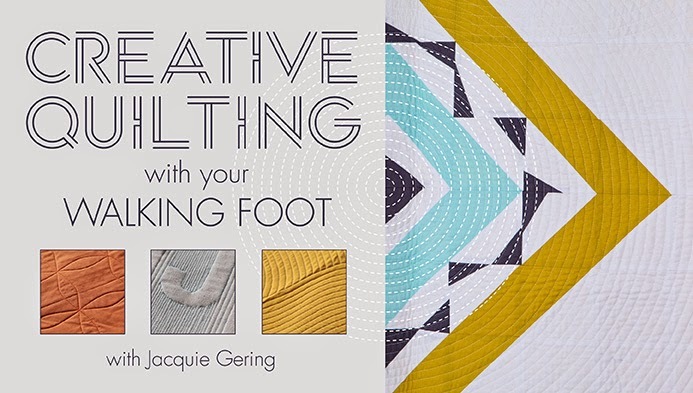 I would have loved to walk around with you talking about quilting&business! I need to come up with more of the sort (book 2??) to have a reason to get over there. 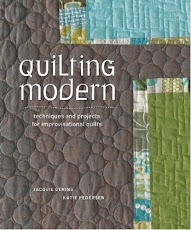 For me it would be great to see that quilting can be business, there isn't much of it where I come from. Since I was kind of a tag along and wasn't there for business - it was all about the people for me - and seeing all the great stuff! You were my favorite person to meet! I had so much fun I want to go to the next one. Love hearing about market and love all the pictures!! Keep it coming! Love this post! Great take on it - I was about half business half pleasure I'd say - a great mix for my first time at market! ;] SO happy I got to meet you! Can't wait to hear everything you have to say about Market! And a new venture? Exciting! You've certainly got my interest on high alert...new business venture, eh? EXCITING!!! Yes please on more posts. I love the weeks following market when everyone shares. Looking forward to hearing, but can't promise we'll be as cute as Bruno. And aren't you such a tease - new biz venture, book, and Bruno, oh my! Enjoy your sewing, and laundry! Waiting to hear and see more! New business venture?? woohoo! how *so* exciting! i can't wait to hear more!!! I love your explanation of market. I work at a shop and although there is fun involved and anticipation over all the great new things, it really is about business. Sometimes I think it is forgotten that although it's a fun industry it is still work and business. Thanks for the insightful review. Wish I would have known you were there too! I would have loved to meet! I work for Aunt Martha's we make embroidery patterns in the City Market. We had a booth on the north end. 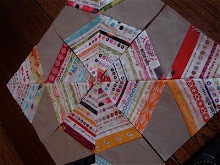 I keep wanting to get to a meeting to meet you and see what the group is up to--I just LOVE reading your blog. 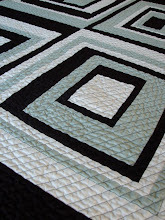 I am a new quilter and just getting into some more modern designs. I will come introduce myself at a meeting soon! Thanks for sharing your take on market. 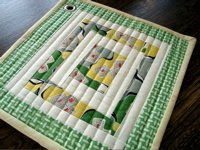 As a hobby quilter, it's been fun to read everyone's accounts of market. While of course I'd LOVE to go sometime, you make an excellent point about the business side of things. It is obvious how hard people have worked to get ready for such a huge event and I just love all the excitement and buzz that gets created. I am sooo excited to hear about your upcoming book and will look forward to hearing the details! Your work is inspirational, thanks for sharing. it was totally awesome to meet you and chat! if you ever have a question I can answer just shoot me a note! LOVED LOVED LOVED meeting you and talking to you. It was so great to physically be with people I admire like you. I am still not down from market high. I love seeing everyone's photos because I see things I missed. what, my dear, is this new venture you're hinting at???? ?